After a long wait of 2 and half months I finally got my chance to borrow this book from the library. After the library guys placed the order I was the first one who put it on hold. You should have been there to see how happy I was to finally see and feel this book after such a long tiring wait. The market price of this book is $99.00 and before spending money I really wanted to make sure if I wanted to buy it. After going through this book I think it is worth adding this one to my book collection. It’s a 459 page spiral bound hard back book. 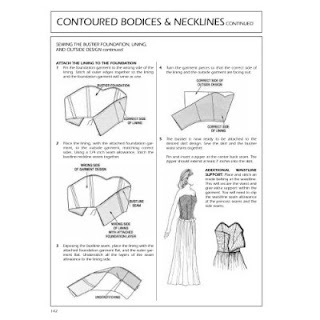 It has detailed descriptions about Pattern Terminology and how to mark patterns. It has everything from basic sloper to drafting skirts and pants and sleeves. It has a precise step by step instruction on how to make your own Paper Mache dress form apart from other things. But to make better use of this book, you should have minimum basic knowledge about Pattern Making and the terminology. 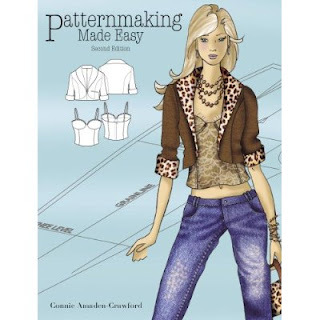 Overall it’s a good resource for someone who is exposed to Pattern Making. You can get more information about this book here. I haven't bought mine yet. But, I did borrow it from my library when I was in California, and it is a book worth buying. 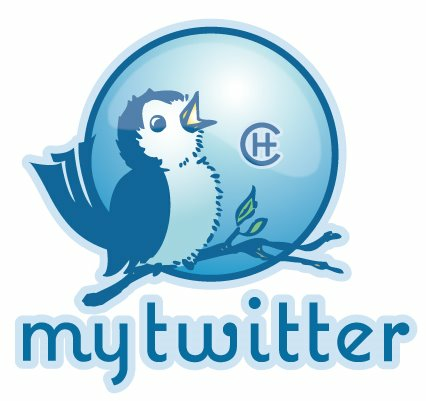 Check out your library before you buy though.